Comparable to European countries from May 2nd 2017 the energy label for buildings will be mandatory in Turkey as well. 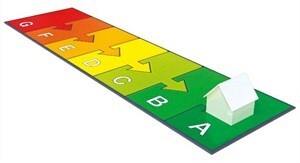 The energy label is a measure of the energy performance of the real estate. An energy-related product means any good which has an impact on energy consumption during use. The intention of enforcing the Law of Energy label incorporation is to improve the energy saving quality of the housing market as well as to encourage competition between and ensure a level playing field for construction companies. It will allow consumers to make informed purchasing decisions like the monthly energy costs and the technical quality of living. The environmental benefits here, speaks for itself. The obligation according to this energy label is implemented in the Energy performance law number 5627 released in 2007. An energy label should enlist details of the energy performance of a building such as energy and insulation properties, energy consumption for heating the house, the efficiency of the heating / cooling system, the level of energy waste and emissions of greenhouse gases. It is based on standard occupant behaviour and standard climatic conditions. The energy performance is divided into classifications that are indicated by the letters A to G. Real estates classified with an A label already have taken already many energy saving measures. Real estates classified with a G label still have to take a lot of energy saving measures. Pursuant to the above Act buildings with planning permission obtained before 01.01.2011 are considered as existing buildings and the buildings where the building permit after 01.01.2011 is obtained as new buildings. New construction should at least be built to the standards of energy label with class C. Regarding existing buildings, there is no minimum energy class determined by law. An existing building will be divided among the classes A t / m G to be determined on the basis of the type of energy performance of the building. What does this law mean for the building where you have a home? Pursuant to this Act, both new and existing buildings, should hold an energy label before 05/02/2017. What are the consequences of not having an energy label? A new building that does not meet the energy measures extended to category C will not be eligible for a municipal housing license (Iskan). Existing buildings that do not possess an energy label may expect 20.000TL criminal penalties. Before a building is actually fined the board of the home owners association will be urged to complete the lack of an energy label within 30 days. How can you obtain the Energy Label? Who is responsible for monitoring them?